Foster and kinship caregivers share inspiring stories about the children they’ve helped, and how caregiving changes lives. Mary drives the school bus in a northwest Alberta town. She is a caregiver for three kids, and she brings them with her. Two of them are dropped off at school, and the youngest, not yet old enough for school, goes along for the ride. Afterwards, they’ll go to the bakery for breakfast, play, have a nap, and get ready for the afternoon bus run. Mary never gets tired of having kids around. She is the second oldest of 15 siblings. Growing up, she always knew she wanted to help kids feel safe. She knew early on she would become a foster caregiver. 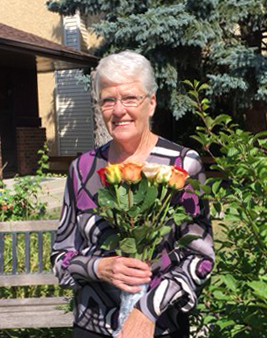 A caregiver since 1999, Mary has seen a few of the first children she cared for grow up to have families of their own. Mary talks about her role as a caregiver and giving young children, especially those who come from unfortunate circumstances, what they need the most. Beyond the memories and care she provides, Mary stresses the importance of keeping kids connected to their family and community. Mary always works with birth families, stays in contact with them, and keeps Indigenous children in her care connected to their community. She knows how important that is for a child. Now in her 60s, Mary doesn’t show any signs of letting up. She feels like she has the energy of a new mom. 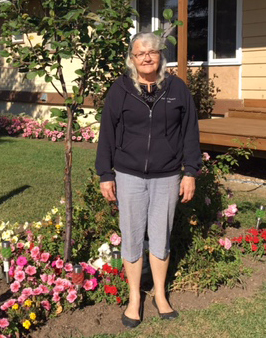 Barb and her husband Thane are kinship care providers in a central Alberta Indigenous community. They have been providing kinship care for their family for over 20 years. Barb’s desire to support children and her family goes back a long way. She thanks her late mother who instilled the importance of family connections at a young age. Barb and Thane know just how important kinship care is for children. Barb and her husband are committed to maintaining family and cultural connections for the children in their care. They do this in a number of ways, but it starts by meeting with family members. Here they figure out a plan. Barb is an active member in her community. She is also involved with the Alberta Foster Kinship Association. 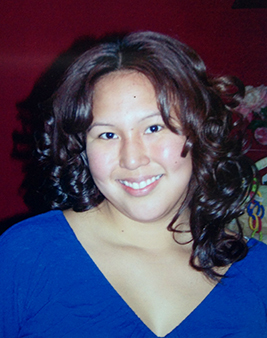 She hopes to help recruit and support new caregivers in Indigenous communities. A big hurdle for potential caregivers is knowing they will be supported and believing in themselves. As an Indigenous kinship caregiver with a lot of experience hoping to inspire others, Barb has wise advice for those considering becoming a caregiver. Barb and her husband are currently caring for four children, three of which are kinship. Pat and Ed live north of Edmonton on a farm where they care for medically-fragile infants. In 45 years, they have been caregivers for many children. Each child has impacted the couple, but there is one in particular that sticks out. Born at 2 pounds, 4 ounces, baby Susie spent the first four months of her life in the hospital, three in the NICU. 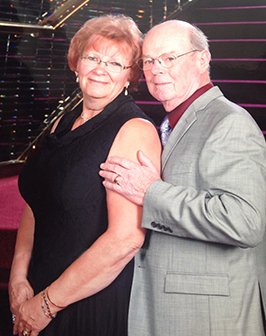 Pat and Ed first met Susie when a child they were caring for shared a room with her. Pat noticed a tiny baby girl next to them struggling to breathe. Feeling helpless, Pat thought to herself she would gladly care for this baby girl if she needed a caregiver. Not a week later, Pat got a call and was asked if she would take a 4-month-old baby. When she arrived to pick up the new baby, Pat was amazed to find it was baby Susie. Little Susie’s health would continue to be a struggle. Before she was 5, Susie was twice revived from being clinically dead, had thirteen bouts of pneumonia, and required surgery to remove a portion of her lung with a 40 percent chance of surviving. In the toughest of times though, Pat remembers Susie’s relentlessness and caring nature shining through. With her life on the line at the age of five, Susie put the needs of a little baby ahead of her own. With all the medical issues she fought through, being in and out of hospital and on life support many times, it was hard to know how Susie would do when it came time to go to school. Surely, she would have her challenges and her struggles. But she took it on head first. By the time she started school, Pat and Ed had adopted Susie with the blessing of her grandmother. They would take life on together. Janet started her fostering journey in 1980 when she observed good friends doing the same. She admired them and wanted to give back to the community also. At that time, she was a single mom and her daughter was just 3 years old, but she would not be deterred. Janet’s career as a 911 emergency communications shift worker was a perfect fit for the foster care program. Over the years Janet has cared for over 100 infants, children and teens and even teen mums and their babies. Janet’s philosophy is simple: open up and enrich children’s lives whenever you can. She takes kids to Banff, Drumheller and Nanton so they can experience theatre and all sorts of festivals that celebrate diversity. She is actively involved in honouring Indigenous children and families and works hard to celebrate and instil pride in culture and heritage. Janet has stayed in touch with many of her children over the years with lots of their children calling her “grandma”. She even has a “great-grandchild” through the program. She says she wouldn’t have it any other way and feels both lucky and honoured to be a part of these children’s lives. Parenting children from "hard places" who have experienced trauma has helped Janet give back in another way as well. She has been involved in the CFPA’s Mentorship Program since its beginning. Through this program, Janet shares her wisdom and experience with new caregivers just getting started. She also assists with orientation training as a guest panel member and is an active member of the local support group. Janet is truly impacting not only one generation, but future ones as well. Find out how caring connections benefit children and caregivers alike.